weekend in a nutshell: kids made it so… | i made it so. ← craft magazines, part 3 of 3: candlewick you say? 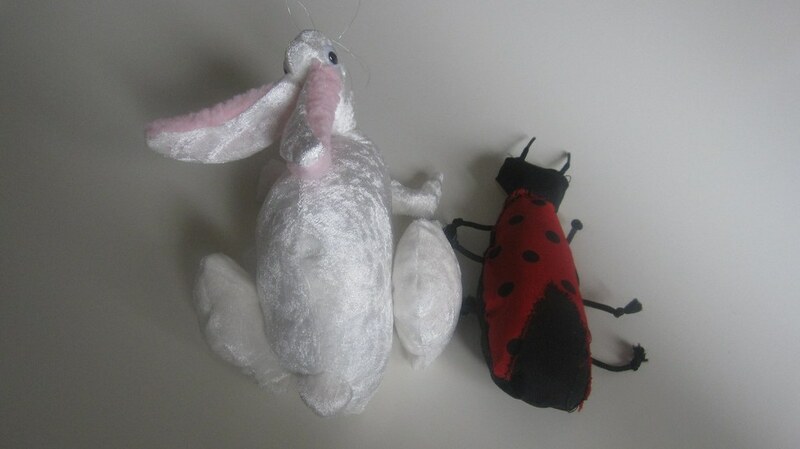 what do you get when you cross a rabbit and a ladybug? the kids drafted their own patterns and made some ‘stuffies’ out of scrap fabric, shoelaces, googly eyes and fishing line. 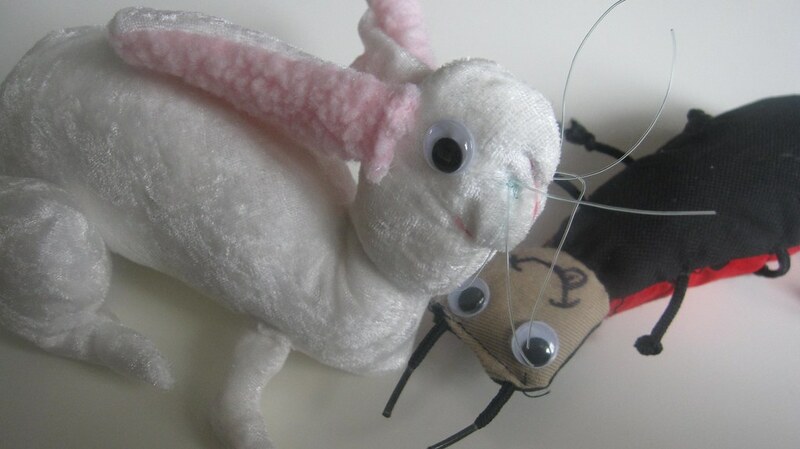 This entry was posted in kids made it so, sewing & fabric arts, weekend in a nutshell and tagged handmade bunny, handmade ladybird, handmade ladybug, handmade stuffed animals, homemade toys. Bookmark the permalink. he he he :) I love it!